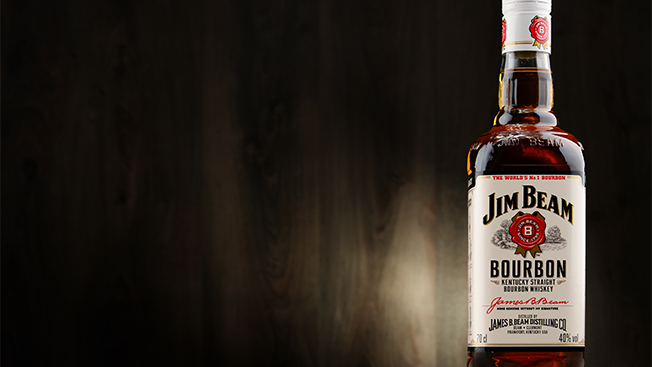 Liquor maker Beam Suntory has picked Leo Burnett as the new global creative agency of record for Jim Beam whiskey. The Publicis shop beat out DDB and McCann in the final stages of the review, which launched this fall. The account had previously been run by StoryWorks, a creative agency conglomerate consisting of Mekanism in the U.S., The Works in Australia and Jung Von Matt in Germany. The news marks a needed win for Leo Burnett. This year the agency lost several major accounts, including McDonald's and portions of Pfizer, before flagship client General Motors put its GMC brand in review. After McDonald's consolidated its marketing business with Omnicom earlier this year, Leo Burnett CEO Rich Stoddart said, "We're doubling down on looking for opportunities to continue to grow the company." Prior to launching the review, Beam Suntory hired longtime Coca-Cola executive Rebecca Messina to serve as its vice president and global chief marketing officer. Sources with direct knowledge of the review initially favored DDB, whose CEO Wendy Clark was also a Coca-Cola executive before returning to the agency world. Other parties, however, cited Publicis Groupe's longstanding relationship with Dentsu Aegis in naming Leo Burnett as the favorite. The Japanese network once owned a significant portion of the holding company, and it has long counted Suntory—which bought Jim Beam in early 2014 and then became Beam Suntory—as a client. Despite its widespread name recognition, Jim Beam's marketing spend in recent years has been somewhat small, and 2014's "Make History" ads starring Mila Kunis marked its first integrated global campaign. Yet the parent company seems to have larger ambitions for the brand. According to the latest numbers from Kantar Media, Beam Suntory spent $26 million on paid media for Jim Beam in the U.S. during the first half of this year, and that total marks a nearly 100 percent increase from the same period in 2015. A Leo Burnett spokesperson deferred to the client, who declined to elaborate beyond confirming the winner of the review. It is not yet clear which offices will be handling the account or when the agency's first work for the whiskey giant will debut.